The Cambridge Room is pleased to announce that the Lucius R. Paige Papers are now available for research. Rev. Lucius R. Paige was a Universalist minister, biblical scholar, historian, and public official. The youngest of nine children, he was born on March 2, 1802 to Timothy Paige and Mary (Robinson) Paige in Hardwick, Massachusetts. As a young man, he read Hosea Ballou’s A Treatise on Atonement, which caused him to reject his parents Calvinist faith. In 1823 he wrote to Ballou describing the impact his work had on him, as a result he entered Ballou’s home in 1825 as a student. In 1825 he was settled and ordained in Springfield, Massachusetts where he remained for four years. He ministered for two years in Rockport before moving to Cambridge in 1832, succeeding Thomas Whittemore at the First Universalist Society. Paige was married four times: first to Clarinda Richardson in 1826 by whom he had three children: Lucius R. Paige, Mary Jane Paige, and Henry Ballou Paige. His second wife was Abby Whittemore, sister of his colleague Thomas Whittemore. They had two children: a daughter Clarinda and a son Thomas Whittemore. He would marry Lucy Richardson in 1845 and Ann (Peck) Brigham in 1866. Paige was heavily involved in town affairs, resulting in his resigning from the church in 1839. He served as Town Clerk from 1839-1840 and 1843-1846 and when Cambridge was incorporated, as City Clerk from 1846-1855. His public service continued with a career in banking until 1871 and as a representative in the Massachusetts legislature from 1878-1879. He remained active in church affairs and preached occasionally for thirty years until failing health forced him to decline invitations. He suffered from bouts of illness over the years until dying in 1896 at the age of ninety-five. He is buried in Mount Auburn Cemetery. This collection contains manuscripts, town records, and hand drawn maps relating to Cambridge’s early history as collected by Lucius R. Paige. Paige maintained handwritten manuscript drafts, correspondence and personal notebooks throughout his research period. Series 1 contains the handwritten manuscript of Paige’s book “History of Cambridge, 1630-1877”. Each folder contains around 25 pages of his manuscript. The series also contains handwritten copies of county probate files, deeds, and early town records of Cambridge. Series 2 contains letters written by correspondents of Paige on the subject of local church histories and genealogies of Cambridge families. Paige was very interested in the histories of the founding families of Cambridge, and compiled the information he received into his notes that are found in the genealogical section of his History of Cambridge. As he himself was a reverend, Paige also kept correspondence with churchgoers around Cambridge who knew the histories of their own churches. This series is a substantial part of the collection. 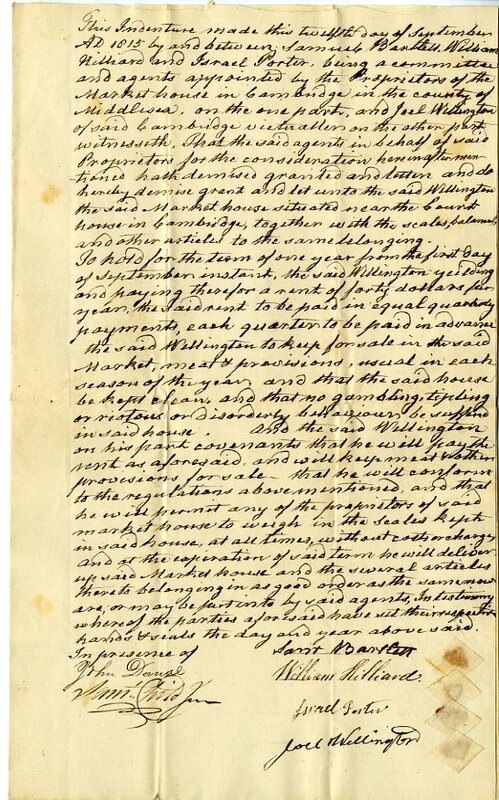 Series 3 contains documents related to the general history of Cambridge including hand written copies of Revolutionary War muster rolls, and Paige’s personal endeavor to build a dike in Cambridge by his property. The Original Draft of the City Charter contains a handwritten manuscript of the Cambridge city charter with notations and edit marks in the columns. The Market House Records contain administrative records on the business of running a market house, including deeds and property documents while it was operating. 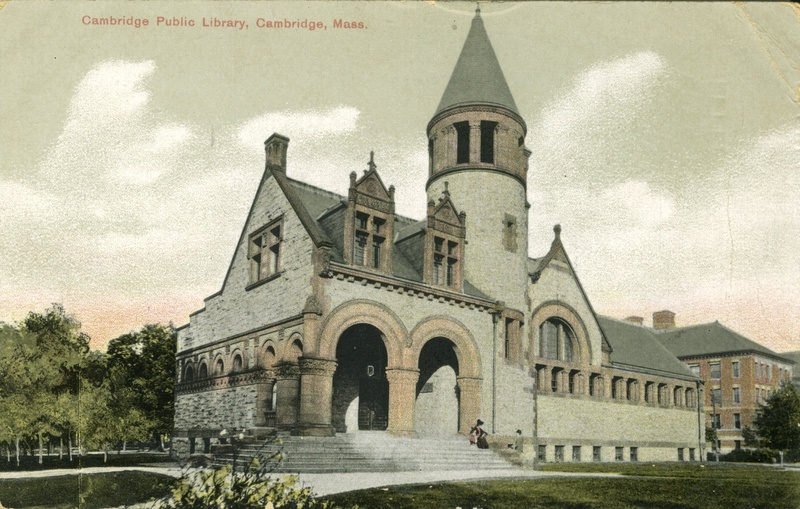 The Cambridge Common, Town House, and Cambridge Bridge, records were donated by Charles Folsom in 1857. The records document Cambridge’s growing need in the 19th Century for modern infrastructure to meet the demands of the populace. The Seattle Public Library launched its 2013 Summer Reading Program by setting a new world record for the longest book domino chain. They used 2,131 books. Do you think we could beat their record using only Cambridge history books? Participants: The event is open to anyone and everyone that wishes to join. No previous editing experience is necessary, as a tutorial will be provided for Wikipedia newcomers, and experienced editors will be on hand to help out. While the session from 11:00 to 11:30 is tailored specifically to librarians and archivists, the session will be of interest to anyone unfamiliar with Wikipedia. Can’t be there the whole time? No problem. Join us for as little or as long as you like. Details: Attendees should bring their own laptops and power cords. 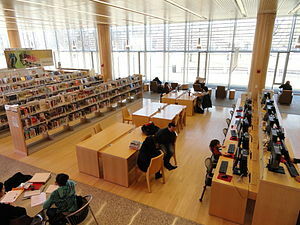 A computer lab is available for those that cannot or do not want to bring their laptops. Light food and drinks will be provided. Registration: Pre-registration is not required, however it would be greatly appreciated if you could sign up here. The edit-a-thon is Cambridge themed. Editors can work on whatever they choose to, including things that have nothing to do with Cambridge, but if you don’t have any ideas, below is a list of Cambridge related articles that could use work.